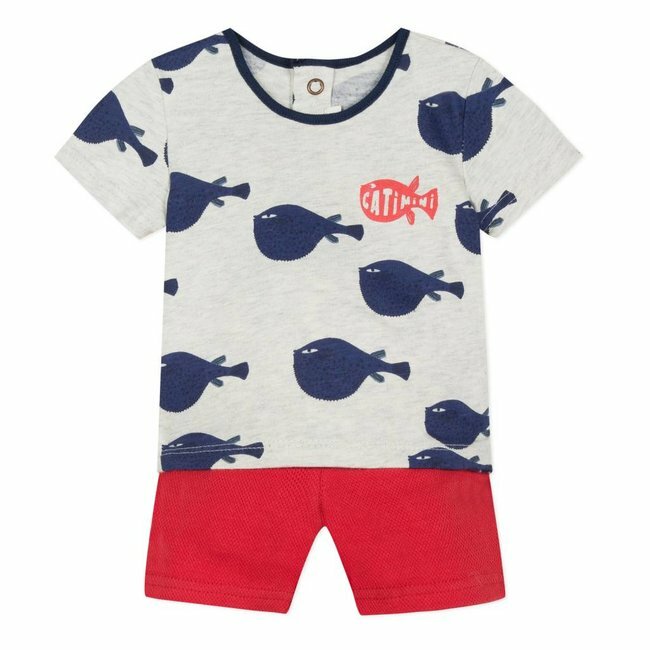 T-SHIRT WITH MARINE MOTIFS AND KNIT DUNGAREES | CATIMINI CANADA - Kidz Global Apparel Ltd.
2-piece set for baby boys: a long-sleeved T-shirt with fish motifs under a compact and flexible interlock knit dungarees, animated with printed lobster claws. 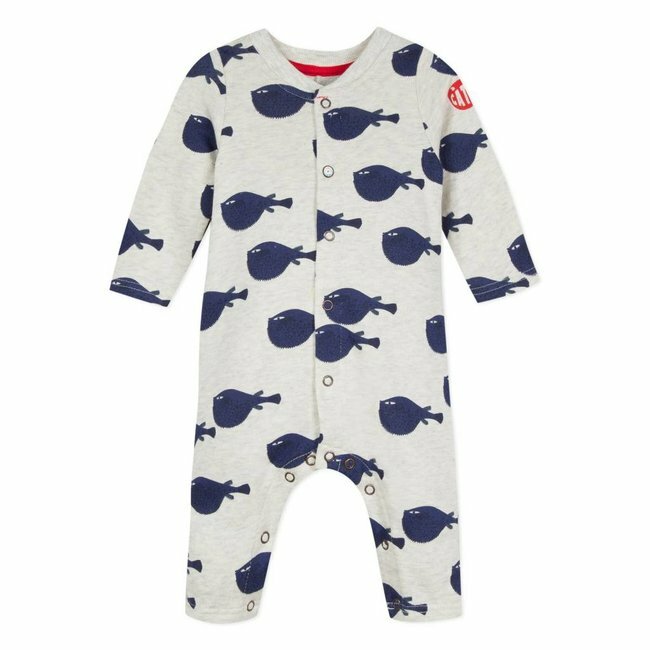 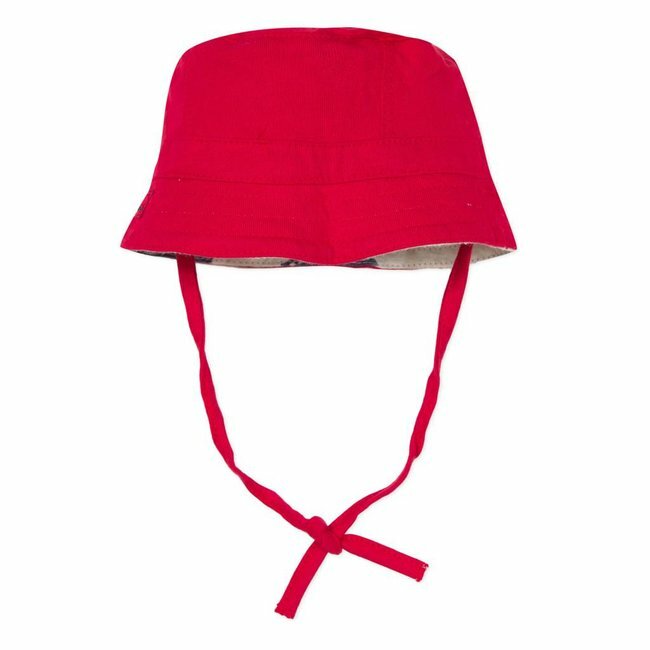 Soft jersey tee-shirt, round neck with print on the front, with press-studs all the way down the Read more..
2-piece set for baby boys: a long-sleeved T-shirt with fish motifs under a compact and flexible interlock knit dungarees, animated with printed lobster claws. 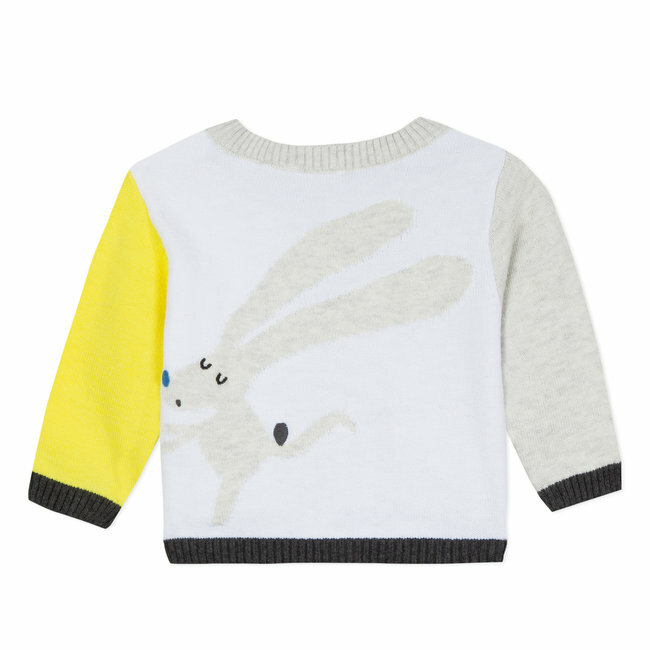 Soft jersey tee-shirt, round neck with print on the front, with press-studs all the way down the back for easy dressing. 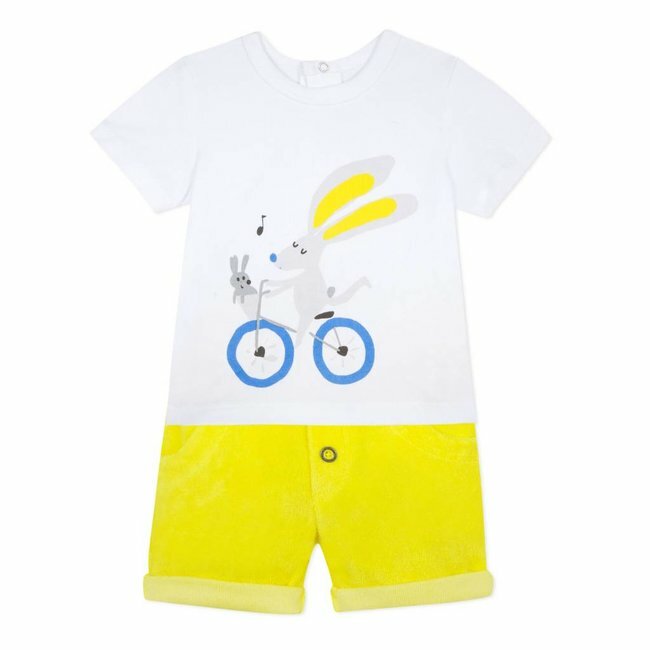 Plain dungarees with buttoned straps, an embroidered message on the front, press-studs at the sides and between the legs. 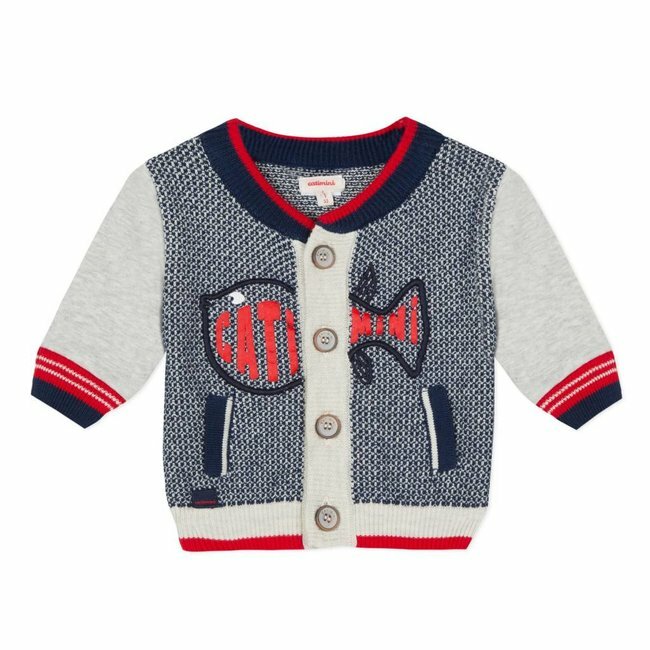 This iconic cardigan from the Catimini baby boys' collection..